June 1, 2018 – Energy storage could get a boost from new research of tailored liquid salt mixtures, the components of supercapacitors responsible for holding and releasing electrical energy. Oak Ridge National Laboratory’s Naresh Osti and his colleagues used neutrons at the lab’s Spallation Neutron Source to evaluate the behavior of ions adsorbed on the external surfaces of the carbon electrodes and determine the right balance of two liquid salts that yields optimal energy storage potential. “We dipped carbon electrodes in the ionic liquid mixtures and exposed them to neutrons through a technique that provides fine energy resolution at the molecular level,” Osti said. 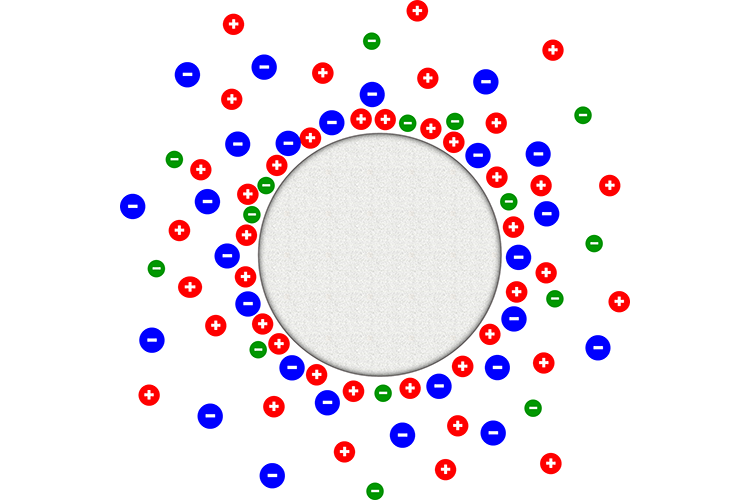 “We could see the ions attracted to the carbon would enhance the capacity depending on the balance of one ionic liquid over the other, which in this case was about 80 to 20 percent.” The team published their results in The Journal of Physical Chemistry C. Next, they will apply voltage and study the ions’ microscopic dynamics.